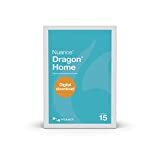 Dragon Home v15 speech recognition helps you get more done on your PC by voice. Dictate documents, send email, search the Web, and more. 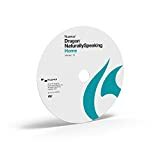 Designed using Nuance Deep Learning technology, it delivers up to 99% recognition accuracy, adapts to different accents, and even works in noisy environments. Simply speak and watch your words appear on the screen 3x faster than typing. Work hands-free and speak commands to launch applications and control your computer – all by voice. There’s no better way to get more done on your PC, at home, school or anywhere in-between. Cutting-edge technology brings efficiency to the clinic environment with superior speech recognition, amplified for medical use. 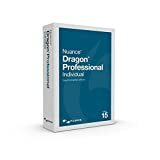 Powered by a next generation speech engine, Nuance® Dragon® Medical Practice Edition 4 achieves 99% accuracy out of the box without voice profile training. Physicians and other health care providers navigate and dictate medical decision-making and treatment plans directly into a patient's electronic record and spend less time typing or clicking in the EHR. 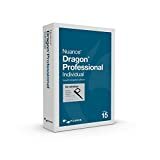 Distinct from nonmedical speech recognition, Dragon Medical Practice Edition combines 90 medical specialty and subspecialty vocabularies with acoustic models based on the unique way physicians speak-audio, syntax, style and structure-resulting in remarkable accuracy. Advanced Deep Learning technology constantly learns and adapts to voice and environmental variations-even during dictation-to refine performance. Dictate for real-time speech to text or transcribe audio recordings to create clinical documentation. In as little as 60 seconds, users gain access to uninterrupted, high-quality speech recognition even where reliable internet is not widely available-all with no profile training, and with dynamic microphone adjustment. Options and settings are consolidated into one easy-to-use dialog box for easy management of profile and auto-formatting options. A movable DragonBar provides easy access to popular features and automatically collapses when not in use. Customized macros for frequently dictated text can be created with a single voice command. 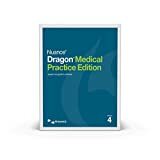 Along with high performance on modern desktop and laptop Windows computers, Dragon Medical Practice Edition delivers documentation productivity on the go through compatibility with Windows 10 touchscreen devices. Hybrid touch and keyboard interaction work seamlessly for controlling the DragonBar and other features. Dictate within applications and EHR textbox fields, or use the Dragon dictation box to compose content-insert auto-texts, navigate template fields, dictate and edit-and transfer text with a simple voice command. 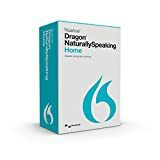 Dragon NaturallySpeaking 13 Home is the world's best-selling speech recognition software that lets you use your voice to get more done every day on your computer - quickly and accurately - at home, school or for hobbies. You simply talk and text appears on the screen up to three time faster than typing. You speak commands and Dragon understands and executes them. Dictate and edit documents, send email, search the Web and use social media with unparalleled speed, ease and comfort. Have fun on your computer and realize your potential at home or school by getting more done faster than you ever thought possible. Dragon NaturallySpeaking 13 Premium speech recognition software lets you accomplish more on your computer - quickly and accurately - using your voice. Dragon turns spoken words into text and executes voice commands much faster than you can type so you can realize your productivity potential at work, school or home.